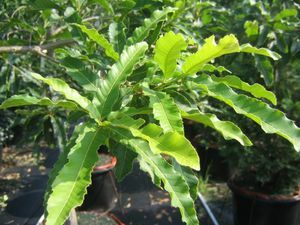 A fast growing Oak especially in the south. Has a nice spreading habit. Makes a great specimen or shade tree. Originated in Japan, Korea, China, and the Himalayas. Was brought to the U.S. in 1862.